3. Why Do Kids Behave the Way They Do? 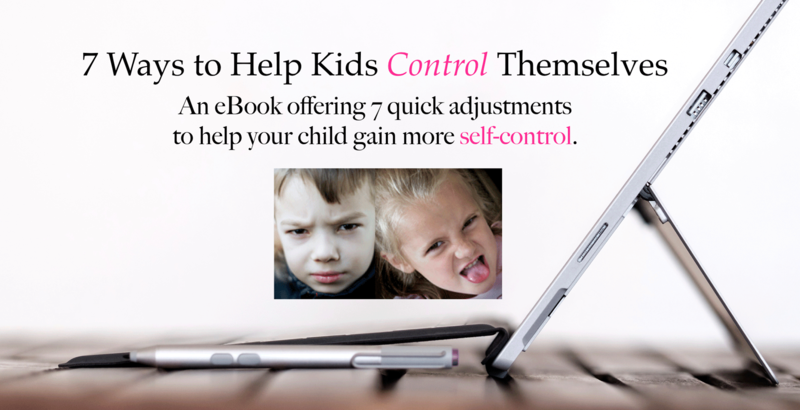 This eBook talks about the rarely-known developmental characteristics that look and feel like misbehavior, but aren’t. You’ll learn how to address the outbursts of learning, and help your little one understanding what’s happening too, all of which reduces reactions for both parent and child. Preschoolers love to help and want to do everything themselves. Early Childhood is the perfect time to use age-appropriate chores to teach responsibility, self-control, and cooperation. This eBook goes into great detail about the cycles of development that can cause internal chaos for kids. You’ll learn the concepts, hints, and sample conversations to use to guide your child as they pass in and out of these phases. The e-version of our popular book shares 108 different scenarios and ways to transform behavior into learning moments that show a child what they need to be doing instead. These solutions also reduce parental emotional exhaustion by reducing the need to yell and punish in order to get your child to listen. 6 proven ways to inspire self-control as you address daily misbehavior, regardless of the situation. This eBook shares 10 different tools that switch you from reacting and punishing, to mindfully guiding and teaching. You’ll learn 2 new mindful versions of timeout, why kids resist new parenting concepts, how to stop a power struggle while maintaining your connection, how to teach a child to stop and get calm, a tool that makes rules abundantly clear, and how to apologize. Plus you’ll learn the two most powerful words in parenting. This audio shares how to create a mindful teaching consequence instead of a punitive consequence. There are sample conversations to show you how to create a mindful learning consequence, plus what to do if the child doesn’t cooperate.